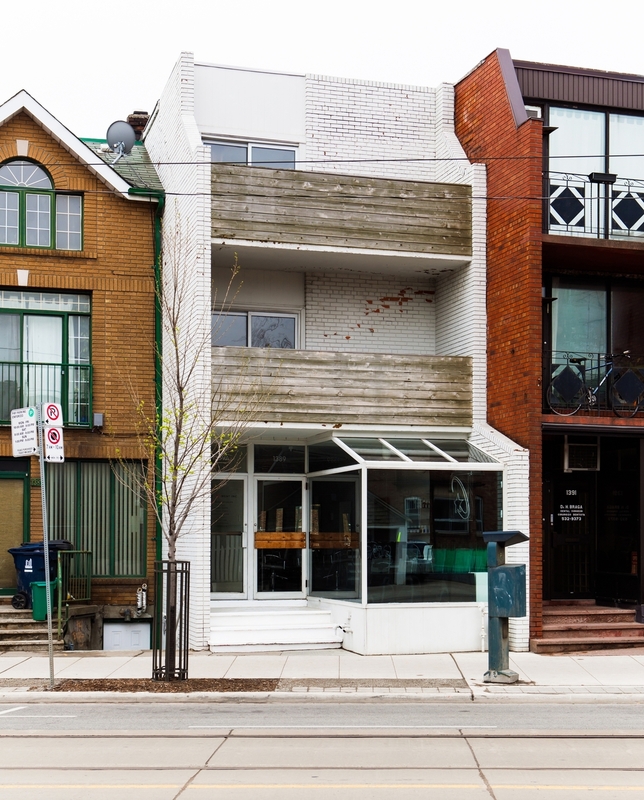 Three of Wands is a sweet li'l building on Dundas West in Toronto. It has a commercial space at street-level, and a 3 bedroom, 3 terrace residence on the upper 2 floors. The name comes from a very good Tarot Card. On the Three of Wands, a figure stands on a cliff looking out over the sea to distant mountains. From this height, he sees all that lies ahead. This is a card of vision and foresight. When we want to see farther, we climb higher; we increase our range and remove ourselves from the immediate situation. We detach and gain perspective. We see how the present fits into the greater picture. This card asks you to be a visionary—to look beyond current limitations. Taking the long view is an aspect of leadership—another meaning of the Three of Wands. When we see far, we have the knowledge to guide others to their best future. Someone who knows the way can show it to those who follow. Know that now is the time to accept your vision and be confident that you can lead others to it. A leader not only sees far, but he is willing to go there first, if necessary. The Three of Wands is also a card of exploration. Compare this figure to the Fool, who is also on a cliff edge. The Fool steps out in innocence, not realizing he is going to fall to his fate. The adventurer on the Three of Wands is also willing to step out, but with full awareness of what he is doing. His courage is more informed, if less spontaneous. Lastly, the Three of Wands acknowledges the support of others that has allowed us to gain this perspective.